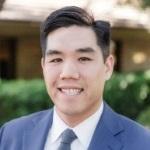 Kelvin J. Kwan has a Bachelor of Science degree in Business Administration from California State University, Sacramento with concentrations in Finance and Risk Management and a minor in Economics. Kelvin has been developing and delivering financial plans, managing portfolios and helping his clients achieve their retirement and income goals since his graduation from CSUS. He holds the Series 7, Series 63, Series 65 and California Life Insurance License. Kelvin is also actively involved with the Boy Scouts of America. As a teen, he achieved the rank of Eagle Scout with Troop 50 of Sacramento. He now volunteers as an Assistant Scout Master with his former Troop. Additionally, Kelvin enjoys playing competitive tennis within the United States Tennis Association (USTA).